From 30 April 2018, the Charity Commission will email a charity trustee welcome pack to all new charity trustees who register their email address with it. The pack provides charity trustees with essential information to help them understand governance basics, financial filing requirements and how the Charity Commission can offer support. It also offers practical guidance around charity trustee duties. 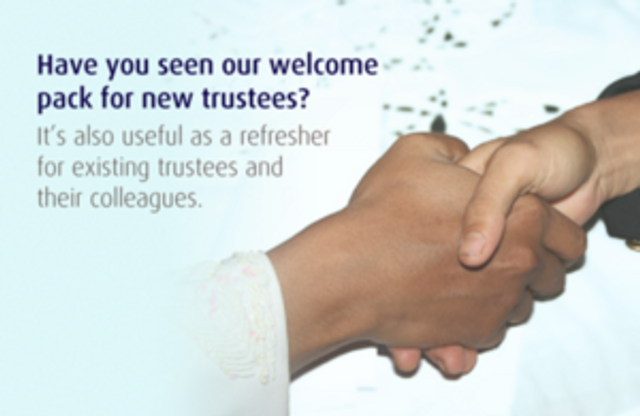 The contents of the welcome pack has been published on the Charity Commission's website, so that existing charity trustees can use it as refresher training. It provides essential information to help you understand governance basics, financial filing requirements and how the Charity Commission can offer support. It also suggests practical steps that can be taken to carry out trustee duties effectively.